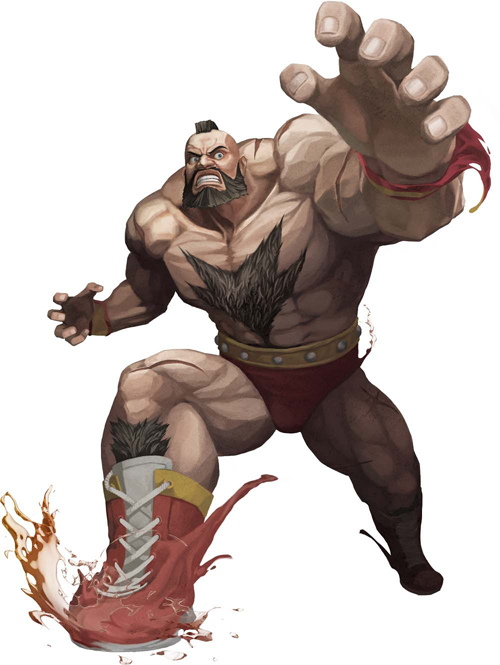 Hailing from the USSR, Zangief is a formidable foe. I’d like to assume at some point in his villainous life, he has eaten some sort of beef stroganoff. If not, this recipe possibly perpetuates a Russian stereotype… At least I didn’t put vodka in it? Admittedly, I wasn’t very knowledgeable about the Street Fighter series until recently. Fighting games were not a large part of my gaming childhood — sure, I played some Street Fighter or some Soul Calibur here and there, but fighting games were not at the core of my gaming routine. 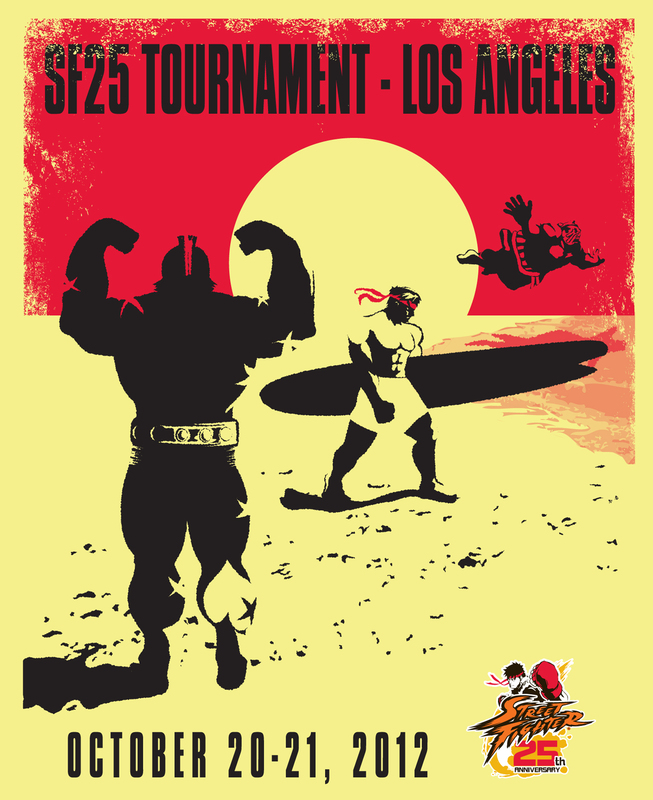 However, I’ve been watching various Street Fighter tournaments, such as EVO and Canada Cup, on TwitchTV. These tournaments have helped me get my Street Fighter learnin’ on. Consider me inspired by the overall vibe of the fighting game community. The people who stream, the people who cast and the people who watch all deeply care about the eSport as a whole. I wish that kind of energy and passion would spread to other sectors of eSports (the Halo scene needs some more love!). But, eSports is gaining ground once again with the help of interwebs, so maybe there’s some hope that eSports will be widely acknowledged and loved in the United States. I don’t think eSports will reach the distribution levels of South Korea yet, but online tournament streams are a step in the right direction. But hey, I could rant all day about eSports, but I’m hungry… So let’s talk about food! Besides, being at a gaming tournament does make you quite hungry (and I can guarantee this food will be much better than the bland $6.50 hot dogs or $7.00 nachos you can purchase). Good, now you’re totally in the right mindset. Let’s begin! Prep time will take about 35 minutes. 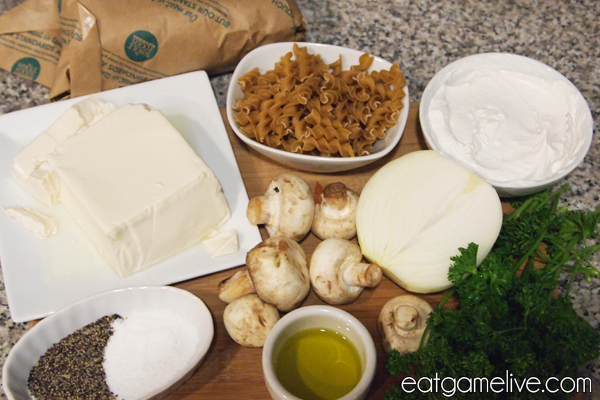 Total cook time is about 25 minutes (assuming you cook the beef while the pasta cooks). This recipe will make about 6 servings. Remove sour cream from refrigerator about 60 minutes before prep time. If your sour cream is close to room temperature, it will be easier to combine with the tofu. Slice your sirloin tip steak into 1 inch slices. Set a skillet on high heat and add about a teaspoon of olive oil. 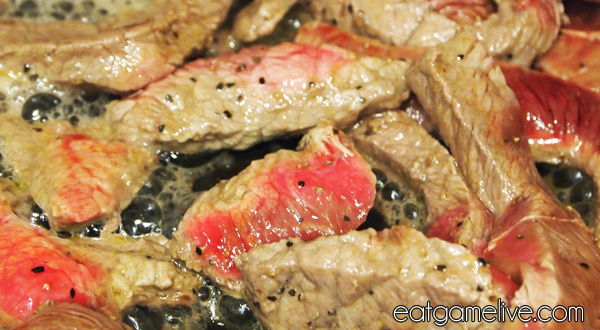 When skillet is hot, add steak slices and cook until golden (about 7 minutes). Make sure you flip each piece over so each side browns. Remove the steaks and reserve the steak juices for later. Temporarily remove pan from the heat. Wipe any excess juices with a paper towel. Set the skillet to high heat. Add in a teaspoon of olive oil. While your pan heats, slice your mushrooms and dice your onions. Sautee mushrooms and onions until golden brown. Set pot of water to boil. When water begins to boil, add in pasta. Add in salt and stir pasta occasionally. Allow pasta to cook and strain pasta when done. Add silken tofu to a large bowl. Using a balloon whisk or fork, beat silken tofu until smooth. Gently stir in your sour cream. Slowly pour in your reserved steak juices into the mixture. Set your skillet (with the onions and mushrooms in it) on medium heat. Slowly take spoonfuls of onions and mushrooms and add it to the sauce mixture. You will need to slowly temper this mixture by continuously adding small spoonfuls of warm onions and mushrooms and stirring to combine. Once you’ve tempered the mixture, slowly pour the mixture into the skillet. Add your chopped steak to the pan and stir. Place pasta on a dish and ladle sauce and meat over the pasta. 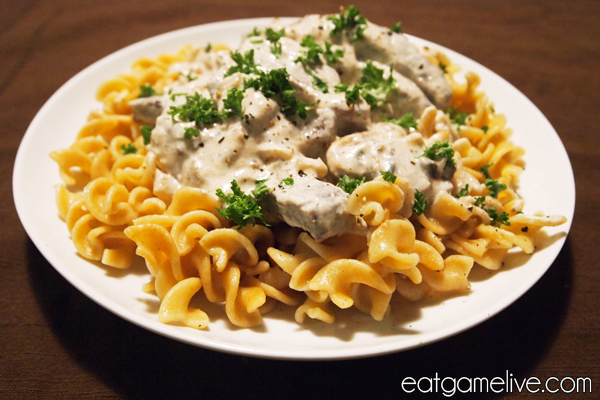 And GG WP, you’ve got yourself some tasty stroganoff! It’s going to EX uppercut your taste buds! Make this hearty dish for your next tournament watching session. Shoyruken! If you plan on reheating this, add a little bit of milk before popping it in the microwave or heating it up on the stove. This will keep the pasta from getting dry. Side note: Please try to keep your Zangief-style chest hair out of this recipe. No one wants that. This entry was posted in street fighter by admin. Bookmark the permalink. And maybe I do want to make a traditional vodka sauce though.